Dr. Sutton and his staff believe a person's smile is one of their most important personal assets. They've made it their mission to offer the latest techniques and procedures for restoring smiles in the Sonoma County, Rohnert Park and Santa Rosa region. They also believe in staying current with the rapid changes now occurring in modern dentistry - Dr. Sutton himself participates in eight times as many classes and seminars as required by his license. While he actively shares his knowledge and expertise with other dentists and specialists, it's his patients that really reap the benefits with access to the latest techniques for gaining a healthy smile. Dr. Wayne Sutton received his dental degree in 1997 from the University of California at San Francisco (UCSF) School of Dentistry. He also received extensive training in cosmetic dentistry through the Pacific Aesthetic Continuum in San Francisco and Advanced Occlusion at the prestigious Hornbrook Group. He is an active member of the American Academy of Cosmetic Dentistry, the Dental Organization for Conscious Sedation, the Academy of General Dentistry and the American Dental Association. Dr. Sutton has three years experience as a clinical instructor at UCSF, and is currently a lecturer for Ivoclar-Vivadent on their newest dental materials and applications. He is one of a select group of cosmetic dentists to be recognized as an Official Dentist of the Mrs. Globe - Mrs. USA Pageants. 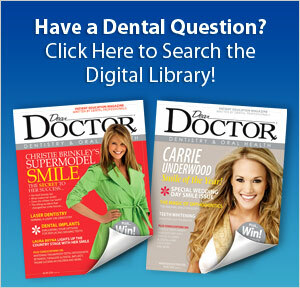 Dr. Sutton offers a wide array of techniques and services designed to restore smiles and invigorate dental health. For more information about their services, please call (707) 585-2555 or visit their website at www.SonomaSmiles.com!